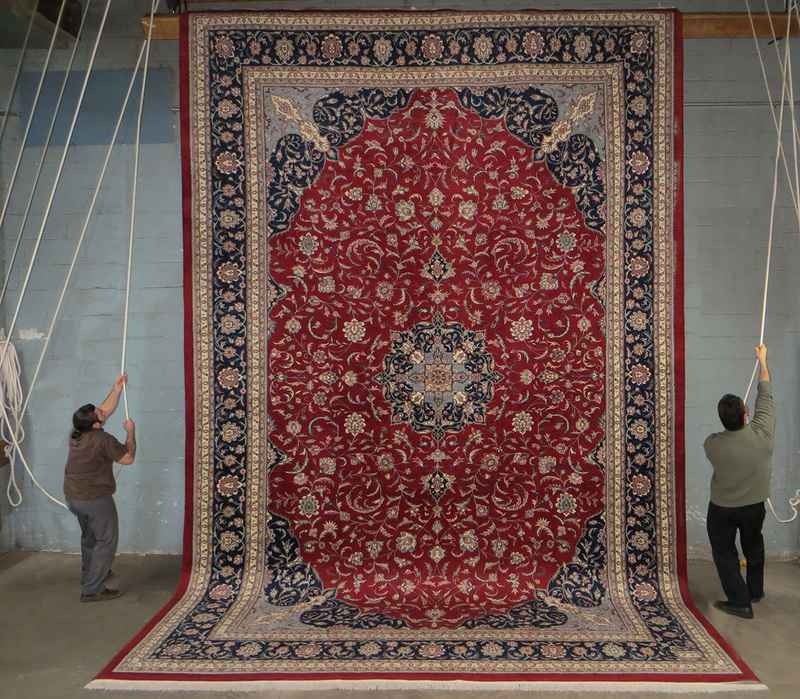 We do a thorough in-plant washing of your area rugs. All rugs are dusted completely to remove all embedded grit before ever wetting your rugs. We then will process your rug according to it’s needs (soil, urine, carpet beetles, moth infestation, feces, vomit, mold, mildew, fire, smoke, etc.). Through the years, we have seen many changes. One of the biggest changes we have noticed in our business is an increase with pet accidents on the household rugs. This was not as prevalent decades ago. But, due to the busy lifestyles we all lead today, we are seeing both the spouses working in the household, leaving their pets alone most of the day. Inevitably there will be pets having accidents now and then. Because this has become such an issue and we are confronted with our customer’s pet problems on a daily basis, we have developed a process though the years that will remove the odor naturally, NOT MASK IT BY COVERING IT UP WITH OTHER ODORS AND DEODORIZERS. The process we use will take us up to two weeks depending on the degree of urine. The end result, you will see is well worth the wait.